Q. When is the best time to start the weed and feed service? A. Our Turf Managers can start treating your lawn at any time of the year. And you'll notice a difference in just a few weeks. Q. Can you get rid of moss? A. Yes, our Moss treatment control and Scarification will remove a moss problem in your lawn. Q. My dog leaves spots on the lawn. Will your treatments remove these? A. No, unfortunately dogs can cause real damage to a lawn when they urinate on it. Urine from a dog can cause scorching of the turf. There are no simple answers and no magic cures or products on the market that can provide a quick fix. We have heard that a garden lime and gypsum powder mix applied to the effected spot and combined with plenty of water can help. The power will help neutralise the urine but then you really need to be around to apply when they actually pee. Apart from training the dog to use one area of your garden or keeping the dog off the lawn completely there is very little you can do. Q. How do I pay for Pimp my Lawn services? A. You simply pay as you go. Invoices are due within seven days of each visit. Q. Do I have to be home when you call? A. We do like you to be home for the first visit to discuss our weed and feed service. As long as we have access when treating your lawn we do not need you to be home. Q. Is it safe for my kids and pets? A. Yes. Our turf managers make it the safest way to treat your lawn. And by using our service you do away with dangerous chemicals in the shed where little hands can get hold of them. Q. Will the weed sprays used harm my garden or ornamentals? A. No, not when used properly and drift proof spraying is a now reality for Pimp my Lawn. *Our drift- free spray technology cannot drift on non target areas or in the air that you breathe. This makes our applications 100% safe. Q. When should I mow my lawns following each treatment? A. Your lawn should not be cut for approx 24 hours before a treatment and for 24 hours afterwards. This avoids fertiliser collection and ensures that you have some leaf on the weeds, making our weed control more effective. Our Turf managers will always leave a card with some simple instructions to follow after each visit. Q. When should I water my lawns following each treatment? A. Your lawn should be watered regularly. In hot dry weather, we encourage you to deeply soak your lawn within 24 hours of our visit. Our Turf managers will always leave a card with some simple instructions to follow after each visit. Q. Can I compost my lawn clippings after each treatment? A. No. We do not recommend you compost lawn clippings after spraying. Lawn clippings are difficult to compost successfully and some of the selective sprays we use to treat your lawn can be harmful to sensitive ornamentals, and flowers. Q. Will the grass grow back where weeds currently exist? A. Yes. The lawn will gradually grow back where weeds have choked the grass out. 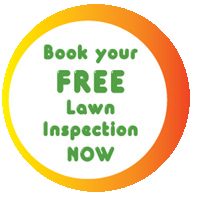 Our regular treatments will also help promote your lawns quicker recovery. Q. Do I have to do anything extra to my lawn throughout the year? A. As long as you mow and water as regularly as possible, we take care of the rest. Q. How do I renew the service? A. This is not a contract but our service is continuous. You only pay for the treatments we apply and you can call us on 0800 111 001 to withdraw anytime. Q. How frequent are the Pimp my Lawn visits? A. Our Turf managers will visit you property every 8-12 weeks (the more frequent the better your lawn will be). All lawn needs regular attention and that's why our Turf managers come back on a regular basis.